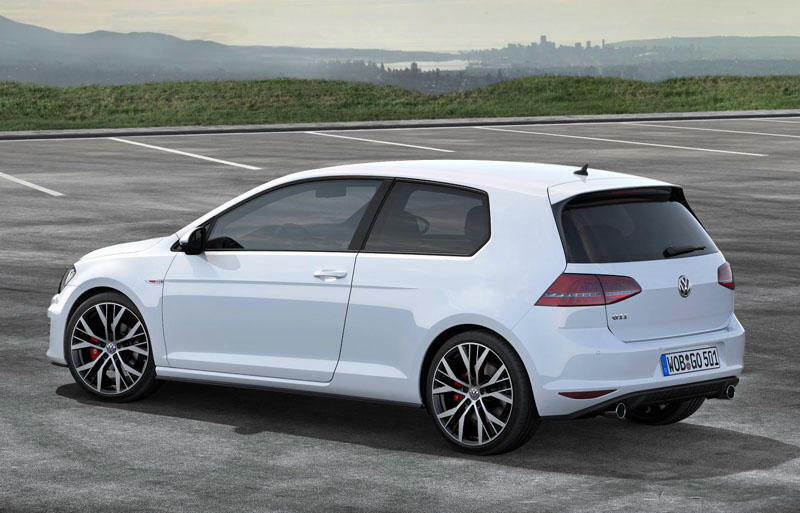 The Golf Mk7 GTi launches in June 2013, continuing an amazing 37 years of this class-leading marque and showing no signs of declining in popularity. 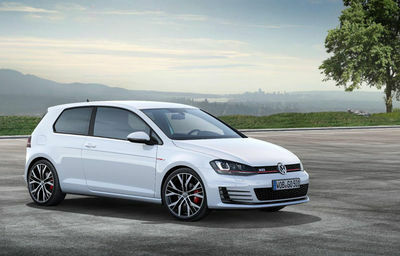 The 2.0 Turbo GTi produces 220ps as standard and there is an optional 'performance' pack which takes it up to 230ps. This option includes large brake discs and a mechanical limited-slip diff. Available in DSG and a 6 speed manual, the car can hit 60mph from a standing start in 6.5 seconds, 0.4 secs quicker than the Mk6 version. Aided by a 40kg reduction in weight it can achieve (where allowed of course) a top speed of 152mph. Fuel consumption hasn't been forgotten in all this 'performance' talk. The manual achieves a highly-respectful 40.9 mpg and with 139g/km emissions you're looking at just £95 for 12 months road tax at the current rates. Visually the GTi is stunning. Red calipers, a fluted front grill surrounding the oblong fog lights, twin chrome tail pipes and those stunning new optional alloys. Customer orders start from 26th March 2013. We expect pricing around the £26,000 mark. More details here as they're available.